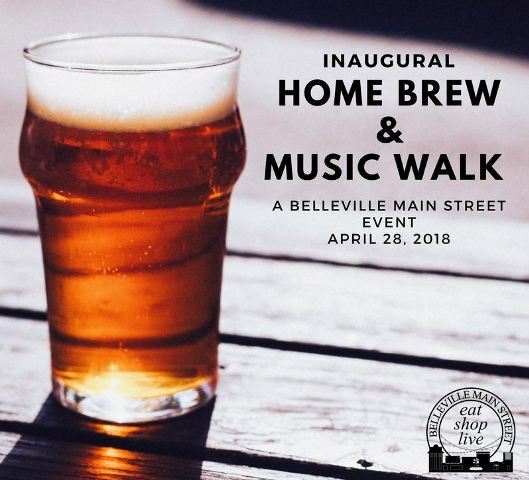 Join Belleville Main Street in celebrating the craft of Home Brewing and the Art of Music! From 4:30 – 6:30 pm, 200 Lucky individuals will be able to purchase tickets to taste local Home Brews crafted by teams of local brewers. Vote for your favorite!! There is no guarantee that we will have tickets at the door, so the best bet is to purchase them in advance using the ticket link on this page. Welcome Jeff & Corina Mager home brewers to Olive Oil Marketplace where they will be sampling their brews..